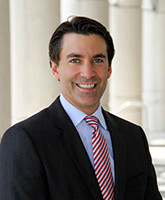 Lawyer Skip Pita Again Named Top 100 Trial Lawyer By The National Trial Lawyers Assoc. For the 7th consecutive year, the National Trial Lawyers Assoc. has named Skip Pita a Top 100 Trial Lawyer in Florida. Skip Pita continues to dedicate himself to his clients and putting them in the very best position to win.